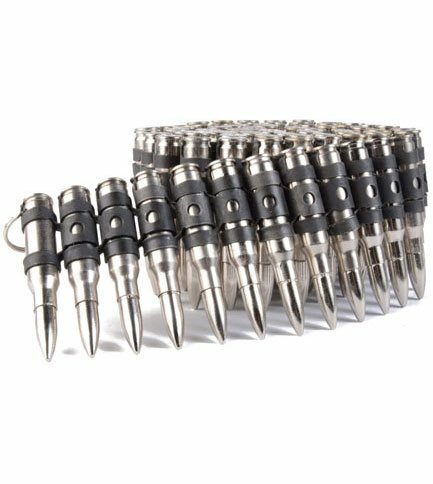 This bullet belt is a .308 MM bullet belt with silver bullets and black castings. 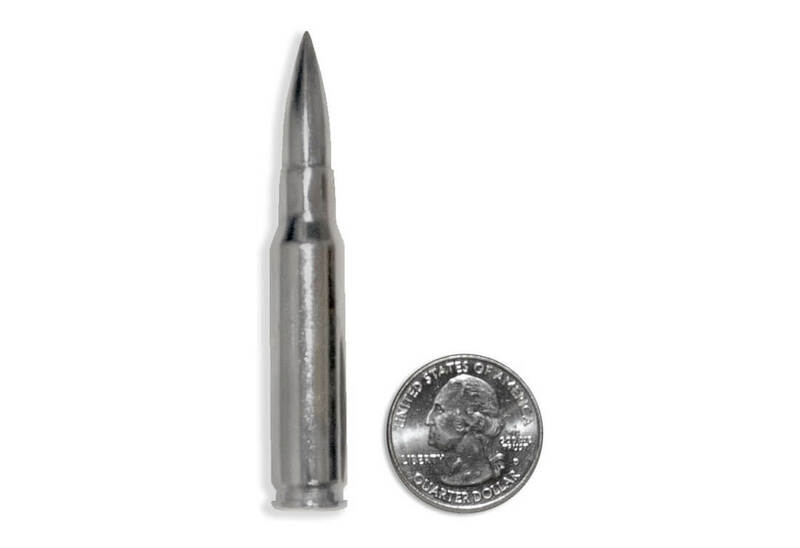 Bullets measure approximately three inches tall. Rounds are inert and have no power or firing pins. Medium: 38" in length, Large: 42" in length. 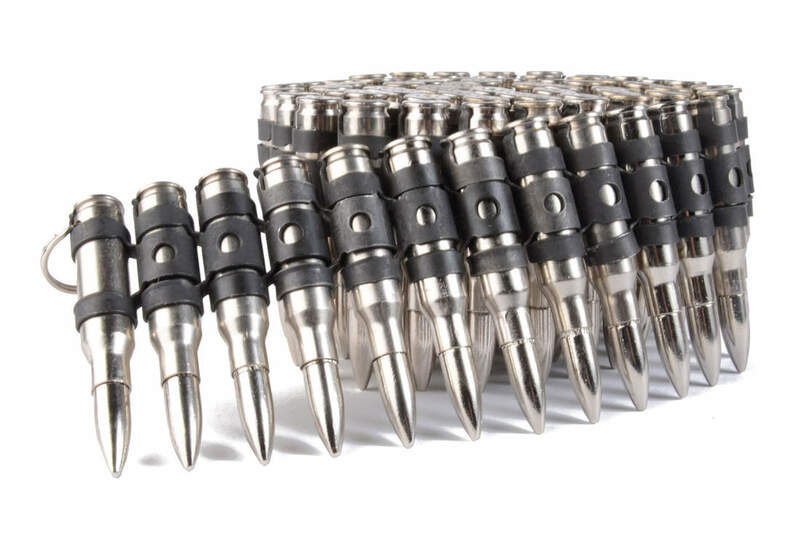 The .308 bullet belts weigh just a little over 3 pounds. Answered by David on Wednesday 04 April, 2018. Are the bullets removeable, so that you can adjust the length? Yes they are. Each bullet has an individual clip that connects to the next bullet making the belt super adjustable. Answered by Brian on Friday 20 April, 2018. Is the key ring meant to attach to a belt loop? You might be able to attach it to a belt loop but, the intended use is to give you something to hold on to while to clasp and un-claps the belt together. Answered by Blue on Wednesday 24 October, 2018. The belt was for my son. He loves it. The fitting chart is spot on accurate. Belt was pricey but worth it. Black Metal bullet belt is great! Very well made. Links are a matte black and fit together perfectly. Bullets are a shiny nickel plated finish. The casing and bullet are both the shiny silver color. Highly recommended.